Wisconsin Weatherall offers a vast selection of exterior doors that can improve the beauty, functionality, and security of virtually any home in southeastern Wisconsin. 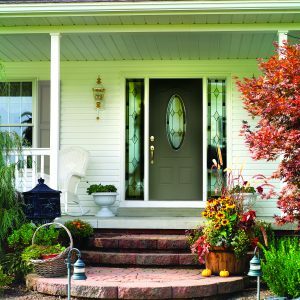 Our expansive line of highly sought-after, name-brand doors ensures that we can be the one-stop shop for top-quality entry doors, patio doors, and storm doors for anyone in Waukesha, WI, or a surrounding community. We offer stunning entry doors from the industry leader, ProVia®, that come in fiberglass and steel options. These front doors feature durable locking hardware for boosted security and insulation channels for improved energy efficiency. Additionally, these exterior doors are available in a wide array of colors, ensuring you can find a look you love that will complement the aesthetics of your home. Furthermore, they come backed by an impressive lifetime warranty, so you can rest easy knowing your new investment is protected. We also offer Therma-Tru entry doors, which are more economical options for homeowners who want to update their front doors but are on a tighter budget. And, if you are interested in a storm door, we are happy to provide you with a superb storm door that will pair perfectly with your new entry door and provide your new front door with enhanced protection from the elements. If upgrading your patio area is on your mind, we can significantly enhance the entryway by installing a new patio door. We offer elegant sliding glass doors and French door systems that offer both a stunning aesthetic and tremendous security. We’ll be delighted to help you pick the best option for your style, needs, and budget. Our selection of sliding glass patio doors includes options that come in vinyl or vinyl with wood interiors, as well as French doors available in fiberglass or steel, so we have replacement patio door options to suit virtually any desire. Here at Wisconsin Weatherall we know that a product is only as good as its installation, which is why we have our expert team of employee installers – not subcontractors – complete all workmanship. Our skilled technicians are detail-oriented and strive to complete all door replacement projects in a timely and tidy manner, and you can trust they’ll adhere to manufacturer specifications as well as industry best practices to ensure your new doors offer maximum performance benefits. To learn more about the exteriors doors we offer to homeowners in Waukesha, WI, and throughout southeastern Wisconsin, contact Wisconsin Weatherall today. 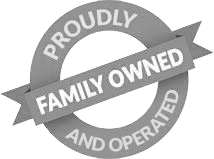 One of our friendly and experienced associates will be delighted to answer any questions and speak with you about the fantastic financing options we offer to qualified homeowners.